The man behind Pulp Fiction and Shakespeare in Love has already made some efforts to produce his most challenging film yet, these people say: a documentary designed to pave the way for a comeback. So far, no one will touch it. A representive for Mr. Weinstein said a “long list” of producers and others have reached out to him about how to best to tell his side and story. Weinstein is in treatment at Gentle Path at the Meadows, a men-only treatment facility that costs $58,000 for 45 days. Previous clients include Kevin Spacey and Tiger Woods. Local Scottsdale residents spy him from time to time, and he seems to ruffle their feathers. But rather than finish the program and take part in intensive outpatient sessions, Mr. Weinstein has, for the most part, seemingly whittled away much of his time in Arizona, dabbling in outpatient classes at a related facility and dealing with his legal challenges, said three people who have heard from Mr. Weinstein in recent months. And through his presence, he has provoked the ire of Scottsdale and neighboring Paradise Valley’s retirees and vacationers, some of who have been complaining about their famous neighbor on social media. The best part? He’s been spotted at a high-end Italian restaurant, and a surprising chain: “Local residents have made ‘Where’s Harvey?’ rumors something of a sport — recent sightings put him at an Olive Garden just before Valentine’s Day,” the Times reports. Despite nearly 100 allegations of sexual assault or harassment, Weinstein continues to deny all allegations of wrongdoing. 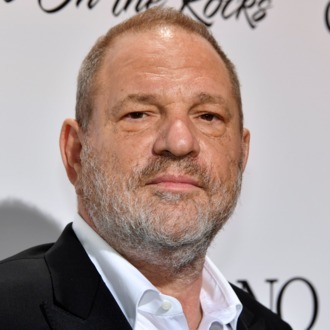 *Correction: A previous version of this story said Weinstein, currently in a 12-step program for various addictions, is planning a documentary about himself. According to an email from a representative, he is actually planning a doc about the opioid crisis.